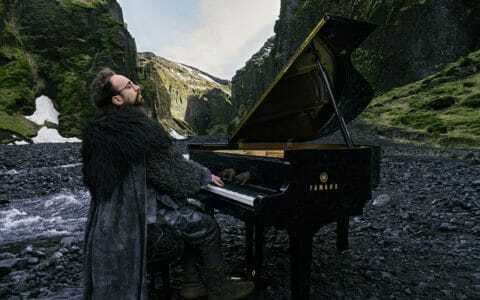 In the piano teaching world, pop music is often referred to as the dessert portion of a student’s musical menu, with more traditional pieces from the Western classical canon holding more nutritional value. I often hear teachers in online forums refer to pop selections as side projects, meaning that these pieces receive a smaller portion of focus during weekly lessons. In my experience, this is a practice worthy of reconsideration given the goals of modern students, and the competition that teachers face with the advent of YouTube tutorials pervasively seeping into lessons. This article will focus on the value and power of pop music from both a business and musical perspective and how it can increase your success as a teacher. The value of pop music from a business perspective should not be ignored. As a veteran teacher of over two decades, I credit my success as an instructor in Southern California to my flexibility and ability to get students playing modern pop hits early on in the lesson process. In an increasingly competitive marketplace, if you’re teaching the same pieces, in the same style as every other teacher in your area, you will have fewer options in terms of new students. By adding pop music to your teaching arsenal you will attract an expanded clientele base and reap the benefits of increased referrals. When new clients call to inquire about why they should select you as an instructor, having the ability to teach current hits to students is a highly effective talking point. 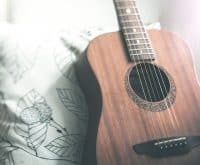 This isn’t to say that pop music needs to be the only item on the menu, but it is a great way to deepen your teaching toolbox and reach an expanded market of potential students, especially teens who are often reticent about taking on music lessons at a later age. 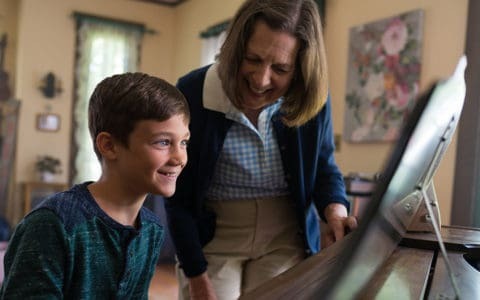 Piano teachers today face competition not only from other instructors, but from YouTube and a new generation of students who want the instant gratification of learning pop hits right away. Rather than leaning on a teacher, these students consistently seek out tutorial videos to achieve their goals. I tell teachers often that YouTube is not the enemy, but rather something we need to pay attention to. 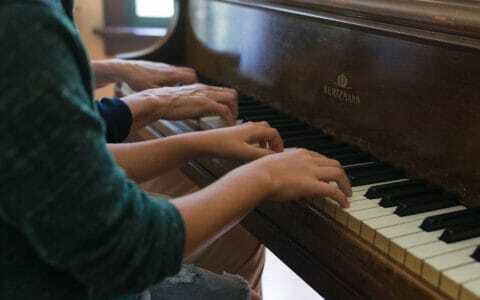 There are rumblings in our field that the popularity of piano lessons is on the decline. On the contrary, I have witnessed a renaissance of sorts in our industry largely due to the rise of popularity of YouTube and other online learning platforms. Will you answer the new call of the market? In essence, the market is speaking to us and telling us as instructors, that pop music is an important genre that students want to explore. Students will sit for hours watching a tutorial video to learn a top hit and that tenacity should be rewarded and taken as a blaring signal that this is what they want to be learning. The one thing that YouTube videos can never replace is the value of human interaction and bonding that takes place between teacher and student in the weekly lesson scenario. Exploring modern hits together is a great way to show students that you care about the music that is important to their generation. As an instructor, I didn’t always love every pop piece that my students asked to play, but my willingness to explore this repertoire with them went a long way in terms of their willingness to in turn work on pieces that I suggested. With students who were less motivated in terms of at-home practicing during the week, pop music provided a great avenue to keep their interests stoked. I would often spend ample lesson time exploring new music together in order to keep the lesson experience highly customized to their personal tastes. While this may take you out of your comfort zone as a teacher, it is an excellent way to retain students over the long term and also keep you up-to-date as an instructor. While the student is the primary customer, parents are actively seeking a tangible and visible return on their investment. When you are flexible as an instructor and teaching to the student’s tastes they will progress at a faster rate, be happier in their lessons, and will be proud to perform for their peers. This ultimately leads to the all-valuable word of mouth referrals from parent to parent that will keep your business buzzing. Adding pop music to your teaching menu can also help you stave off burnout. As teachers it is easy to get stuck in a routine, teaching from the same books year over year, but we all know that this can lead to boredom. Take as an example the resistance of some teachers to teach certain canonical favorites like “Fur Elise“ or “Canon in D” simply because they are sick of these pieces. Pop music is a living genre that is constantly changing with new songs being released constantly. While this can be overwhelming, your students can help you filter through the massive amount of options and also allow them some time at the proverbial steering wheel in terms of materials selection. All you need to do is query them about what they’re currently listening to. Chances are if one or two students request a certain piece, there are likely five more students behind them who would be delighted to play the same piece. Given the relatively short shelf-life of a lot of pop music, you won’t get bored because your students will move on to new tunes within a short amount of time, allowing you to cycle fresh pieces and new challenges into your teaching rotation. The business benefits of pop music are numerous, but there are also many musical benefits. Returning to the pop music as the dessert analogy from earlier, I contend that pop music can be the foundation of a student’s musical experience instead of just a side project pushed off until the last five minutes of a lesson. Taking this further, we all thrive on different types of food-based diets, and the same analogy can be extended to the musical world. There are some students, who no matter how many backflips you do, will not feel the same excitement about Mozart Sonatas as you do. Many students simply progress faster when they focus on playing modern music that has relevance to their current world experience. Teachers often maintain that pop music is an, overly simplistic, vapid genre that will not lead to stellar musicianship. I would argue that there are multiple unique benefits within the genre itself. One of the primary musical benefits is the rhythmic element—especially syncopation. 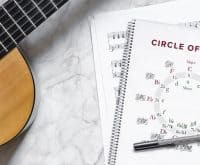 Dotted and syncopated rhythms are pervasive throughout pop music and something that teachers sometimes shy away from thinking that they are too complicated for students who are just starting out. On the contrary, because pop tunes are very familiar to students, these rhythms are easy to teach since students know what the music should sound like. This opens the door to make the all-important eye-ear connection between what these rhythms sound like and what they look like on the page. Additionally, students who are excited about the music they are learning are more willing to push beyond their current technical limitations to achieve the goal of playing a piece they are enthusiastic about. various accompaniment patterns, and much more! 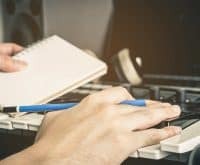 More recently, there are trends in our industry moving towards getting students off the page and exploring things like playing from lead sheets, being able to accompany themselves while singing, and playing in band-style settings. Pop music is the perfect genre to explore all of these elements. Additionally, I talk frequently with teachers about the value of being able to teach composition, arranging, and transcription to students. 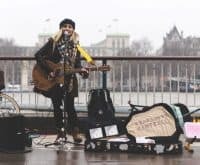 This is yet another way to expand your reach into the market by being able to teach a variety of functional musicianship skills to a wide base of students. You may be a teacher who has not focused on pop music as a large portion of your teaching practice and in turn, may be wondering how you start to approach this wide-reaching genre. While the amount of repertoire choices is vast, pop music can be divided into a couple of categories. This first is what I refer to as timeless pop. These are tunes, much like famous pieces in the classical canon, that have survived the test of time, and are routinely requested by and familiar to students no matter their age. This category would include pieces like Coldplay’s “Clocks,” Queen’s “Bohemian Rhapsody,” and John Legend’s “All of Me,” to name a few. 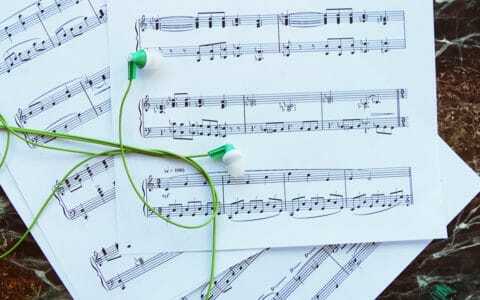 A quick look at the Musicnotes Top Downloads will give you a great base of pieces that I suggest putting into your arsenal right away. The second category is current pop which is much more fluid and ever-shifting. As a writer, I routinely check out playlists in iTunes including the Top 100 and American Top 40 list. If you’re limited on the amount of time you have to listen to current hits you can simply ask your students what they’re listening to for quick guidance. Some modern hits will work well on the piano, and some won’t. This is, in and of itself, a great conversation to be had with students. 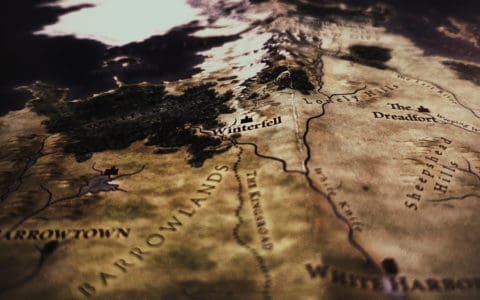 Pop music used in movies and television series provides another wealth of materials for you to explore and will be well received by students. Most recently music from films like A Star is Born, The Greatest Showman, and Mary Poppins Returns have been frequently requested by students of all ages, while television shows like Glee have helped popularize many older timeless tunes like Journey’s “Don’t Stop Believin’.” Movie and television music typically has solid staying-power that eventually moves these current pieces into the former category of timeless pop. As a teacher staying up to date on music that is currently popular will keep you and your students’ motivation levels fuelled. Additionally, a lot of modern music utilizes samples and melodies from older tunes which opens up a conversation about music that may be closer to your own generation. Take for example Ariana Grande’s current hit “7 Rings.” This song is an urban reworking of “My Favorite Things” from The Sound of Music. Take these new tunes as an opportunity to open the door to older timeless hits from your generation and encourage students to explore both versions. In conclusion, pop music is a powerful genre that offers you as a teacher a wealth of opportunities from both a business and musical perspective. Think of the fun you and your students can have exploring this genre together and extending this out to a studio-wide focus on particular subsets of the genre. I recently heard from a teacher who was planning a 1980s-themed recital and the excitement that this had generated within her studio. The possibilities in this far-reaching genre are endless and the joy that both you and your students will experience from adding this element to your teaching toolbox are truly irreplaceable. As an arranger for Musicnotes, I am thrilled to be able to provide teachers and students of all ages with a wide-ranging catalog of choices to help spread this joy. The publishing landscape has shifted drastically in the last decade. Gone are the days when students had to wait for months on end for current tunes to be published in a hardcopy publication from a limited number of sources. 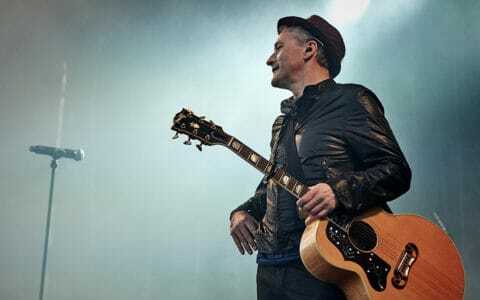 Now with the advent of digital publishing, current tunes are available quickly in a wide range of levels, long before their popularity has waned. As a writer, I am focused on writing pedagogically-sound arrangements for a variety of levels that maintain the integrity of the original song within a hand-friendly context: a win-win for students and teachers alike. This post was written by Jennifer Eklund. Jennifer Eklund holds both a bachelor’s and a master’s degree in music from California State University, Long Beach. She is an avid arranger, composer, and author of the Piano Pronto method book series as well as a wide variety of supplemental songbooks. 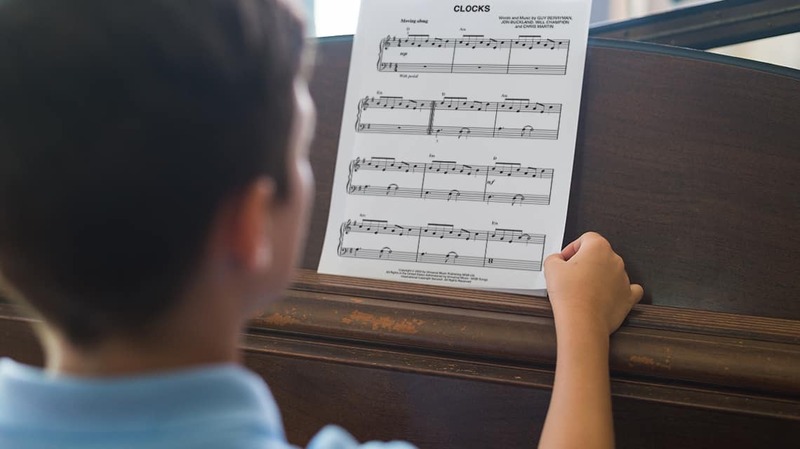 Her sheet music arrangements feature hand-friendly, performance-ready arrangements of popular music favorites for pianists of all ages and levels.